Greg Carpiniello is the Gun Room Manager at the Orvis Company. For years, the Orvis name has been synonymous with hunting, fishing, and extremely high quality clothing and accessories. Orvis has their shooting grounds in Millbrook, New York which is the oldest permitted shotgun shooting club in the United States as well as their 3000 acre hunting and shooting facility in Sylacauga, Alabama. 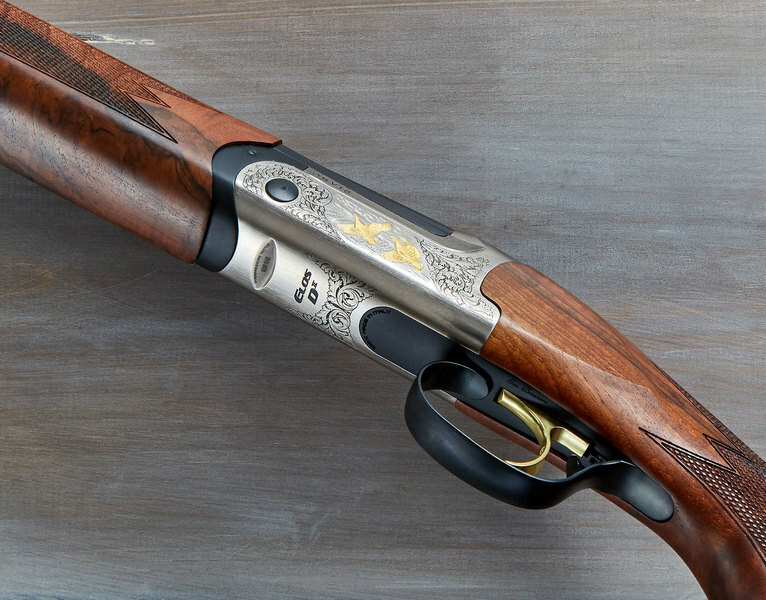 Orvis has been partnering with Fabarm for some time, offering their own exclusive Orvis shotgun models that come with the best guarantee ever offered to the consumer: you are 100% satisfied or you get your money back. Their latest offering is a stunner: it is their version of the new Fabarm D2 Over/Under, with a steel frame, upscale oil-finished walnut, and tasteful engraving with gold inlays. I recently tested a Fabarm D2 20 gauge, and it did well. It was the lightest 20 gauge I have ever tested, the lightest O/U I've ever tested, and the lightest shotgun I've ever tested in recent memory at 5-3/4 lbs. That is too light for my uses, as I often use 1 oz. loads for dove and 1-1/4 oz. loads for wild pheasants. The steel Orvis Elos D2 promises to retain the lighter, livelier barrels of the alloy D2 (it comes in 28 inch only) and it weighs almost a pound more at just under 6-3/4 lbs., according to Greg. That's just about perfect for a 20 gauge O/U, for you can have comfortable fun breaking clays yet using heavier hunting loads is not a problem. Aside from the lighter barrels, Fabarm has improved both the ejectors and the forearm design as well. 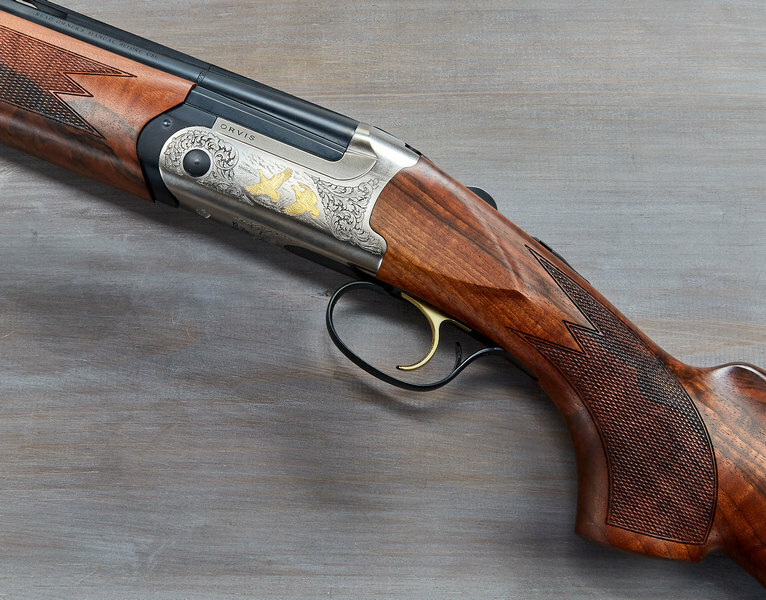 As you might expect, the Orvis Elos D2 20 gauge has Tri-Bore barrels, a 1630 BAR proof level, is 100% Made in Italy, and all choke tubes regardless of constriction are rated for steel. Available in 12, 20, and 20 gauge, my 20 gauge is in transit right now. Some won't want to wait and you can get yours today by contacting Greg at Orvis: carpiniellog@ORVIS.com , his office phone number is (802) 362-2580. It may look like a $6000 shotgun, but it sells for just under $2700. Expect a full review of the Orvis Elos 20 gauge very, very soon. I can hardly wait.